At the end of April, the Agugiaro & Figna company, flour producer which exports all over the world, will open the "5 Stagioni" Academy (the five seasons Academy), a training school mainly for pizza makers, but also for bakers and confectioners. The school, opened about a year ago under a trial period, is located in Beijing and aims to spread the knowledge and use of various types of flour utilized in the kitchen, throughout Asia. Riccardo Agugiaro, export manager of the Agugiaro & Figna company says that "Italian flours differ from those produced in the rest of the world for their mixtures and for the research of the best cereals that are assembled in a particular way to create many types of flour depending on the different culinary way they will be used. " The professional courses, that usually last a week, are created for restaurant chains, who need to train their chefs, and for Chinese and Oriental cooks and chefs. 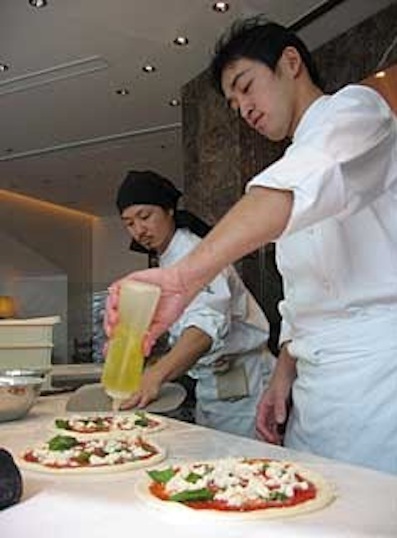 The school will also host some of the AVPN courses (Associazione Verace pizza napoletana) that teaches the art of making pizza all over the world. Agugiaro & Figna also consider the school, located in Beijing, a commercial hub for the Chinese and Asian market. The company has a representative in the school who is fluent in the local language.